When March 17th rolls around, everyone knows it’s time to break out the shamrocks, lucky charms, and kilts. It’s St. Patrick’s Day, a traditional Irish holiday. And. people all around the world celebrate this day in their own way. 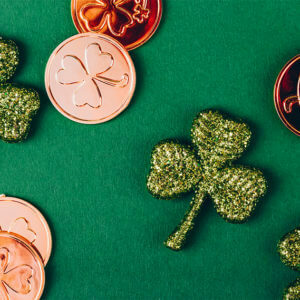 With so many fun St. Patrick’s Day traditions, it’s easy to join in on the fun. You don’t even have to be Irish. As the big day approaches, here are some fun ways to channel your inner leprechaun and celebrate. It’s beginning to look a lot like fall, and as the weather begins to shift, so has our dessert menu! So, if the chilly weather has got you a little down, a comforting dessert might be what you need to get your spirits up. At Garrys, we’re always switching up our menu and keeping things fresh and new. That being said, fall is the perfect time to introduce a few new seasonal bakery items that reflect the crisp magic of fall. So, cozy up at Garrys this season and try some of our new desserts while you’re here. The tree is adorned with lights and ornaments, the presents are wrapped, and Jack Frost has even paid a visit. Plus, you’re looking forward to spending time with your loved ones while enjoying a delicious meal. But, before you can lay down the welcome mat, you may want to spruce up your space by creating a holiday table that captures the spirit of the season. Dazzle your guests this time of year with these 5 DIY holiday table decorations. As we embark on another new year, one thing is for certain. You will have to listen to at least one person talk about their cliche New Year’s resolutions. Or, perhaps you are that person who habitually makes grand resolutions that may or may not fizzle out by the third week of January. All in all, what you choose to change in the new year is up to you, but make sure you do it with a sense of humor. 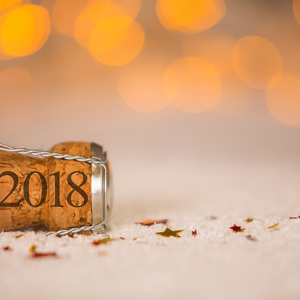 Here is a list of the best resolutions to achieve in 2018. Nothing cures the winter blues quite like cozy, comfort food. Once the days get shorter and the weather gets colder, we are more than happy to stay indoors and indulge in some warm dishes and hot cocoa. Winter can be quite brutal, but the food and cooking shouldn’t have to be. 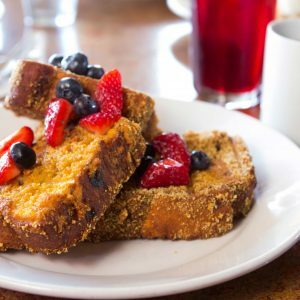 These breakfast, lunch, and dinner entrees at Garry’s are sure to keep you warm throughout the chilly season. With all of the hype surrounding Halloween and Christmas, Thanksgiving doesn’t always get the attention it rightfully deserves. And it’s a shame, because what’s not to love? To be honest, we couldn’t think of anything. It’s a holiday solely dedicated to eating delicious homemade food and being grateful for what we have. Here are ten reasons why we love Thanksgiving. The craze has begun, and we recommend you run (not walk) to your nearest grocery store and stock up on pumpkin-flavored everything. And, by everything we mean cereal, donuts, coffee, candy, liquor, energy bars and the list goes on and on. But, if you’re not as passionate about the fall flavor as we are, well we just don’t need that kind of negativity in our lives. We will continue to shamelessly lose our minds every time it’s released. 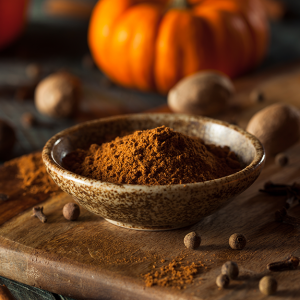 Now, it’s time to get down to the root of the mania and find out why we are obsessed with pumpkin spice. Many would concur that the holiday season is easily one of the most stressful times of the year. There’s just something about it that causes blood pressures to rise and tempers to flare. Perhaps, a large part of our collective anxiety stems from annual reunions with the family. In your household, you may have experienced the boisterous aunt that always seems to have a little too much to drink, the opinionated cousin that insists on talking about politics, or a relative that continually hounds you about your plans after college. Unfortunately, you can’t pick your family; however, you can pick how you to choose to deal with them. Here are some tips on how to handle family during the holidays. Mother’s Day is right around the corner. An annual day reminding us all to celebrate and appreciate our moms. After all, she’s given us so much. Our incredible sense of humor, mindblowing intelligence, and stellar good looks. Perhaps, this year we’ll let her take some of the credit for those qualities. But, moms make the world go ’round and we wouldn’t be who we are without them. Here are just a few reasons why moms are so amazing.